NLP Training Academy | NLP Training Courses | NLP Certification Courses » NLP Training Online – online NLP courses » Thinking of taking an NLP training course? I did not expect to learn so many new, useful and interesting techniques, tools, skills and strategies. The whole learning experience has been mindblowing (in a postive way) and I am just so exicted on starting the next course. (NLP Master Practitioner) Not only have I had a lot of ”a ha ” moments, finding Strategic Interventions more useful now that earlier – I see that NLP will be very useful in my future coaching practice. My objectives forward is to practice on the NLP techniques that will be most useful to my clients and becoming more assertive using them. My goal is to obtain both NLP Practitioner and NLP Master Practitioner before this years end. I have also a goal on creating a compelling website and marketing my business services/solutions by the end of this month. Strategic Intervention (also known as SI) is dedicated to extracting the most practical and effective forms of strategic action and communication from a variety of disciplines, including NLP. My original goals/objectives were in order to gain more insight of the strategic intervention coaching I recently took – I wanted to learn and understand more about NLP. I have achieved this and much more than I had first set out to gain. The most valuable tools have been learning how to and understanding communication patterns in a whole new way. The biggest thing has been learning to be more aware of what people are saying, how they say it and quite frankly language patterns in general. By learning how to observe people “in a new light”, using NLP has been made the most impact on me. I have achieved both goals in the context of this course material. As I evaluate these goals I realize that I made them broader than this course, since my intention from the beginning has been to complete both this course and the master level course you offer for certification. My end goals are to become excellent at coaching others through NLP and to be certified as a NLP Master Coach. This course is one step toward those goals. 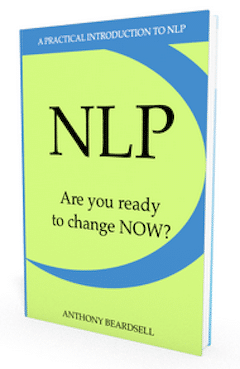 The NLP Communication model is the heart of all my learning from this course. I already knew the importance of thoughts and the mind-body connection, but the communication model explained how it works and why it works that way. Sensory acuity and calibrating people’s unconscious response based on solid evidence is also a great tool. It helps me to balance my natural strength of being highly intuitive and its countering weakness of often resorting to mind reads. Perceptual positions exercise is an effective way to gain perspective and I am using it for myself personally and also with other people when they have a conflict with someone. This will be a stable in my toolbox. The ecology check is a great tool for checking for consequences before a commitment to an action plan. This is a very crucial piece that is often ignored in the now popular life coaching philosophies. Neurological levels of change is a fantastic diagnostic tool and gives me a clear way to see what level people are operating in so that I can target my approach accordingly. The Meta model is obviously very valuable and I am using it in my family relationships and in my coaching. Submodality work and anchoring are both stable tools that lend themselves to a great variety of applications. Reframing, Working with Parts and the Timeline sections were my favorites out of the whole training. All of them have had a huge impact on me personally and are invaluable for my work as well. Out of these tools, the timeline intervention is the most significant. I’m still surprised by the effectiveness of it. It brought the most change and freedom in me personally and I have seen great results in other people as well. I am regularly using the communication model to observe and change my IRs for better quality life and for better results in what I want to accomplish. This is very helpful especially in the mornings. I used to think that I’m just not a morning person and have to suffer through the early hours being grouchy and irritable. Now I check my IRs before I even get out of bed and have pleasant mornings most of the time. I have been listening to people’s predicates in their speech in order to find out their representational systems and practicing to match my reply accordingly. This has helped me to communicate better with my husband about potentially difficult issues and decreased arguments between us. I realized that this is a key tool to use in coaching couples and am thinking of ways to implement it in re-creating rapport and intimacy between couples. I have done a lot of submodality work with myself and am experimenting with the results I get. I was also able to help my children to get over some scary images from a movie they saw. Changing the submodalities of that image lessened its impact on them and they were no longer afraid at bedtime! I have not yet implemented these skills into my work with other people besides the times when I needed to practice them for this course. I will do that during the master practitioner level. I had a really cool experience with the neurological levels of change model. I sat down to chat with a friend who is struggling in his new job. He just moved his family here from abroad for this job and is already contemplating moving back because the work is so hard. He has been seeing a counselor for couple of weeks now and they are trying to understand where the pressure and stress is coming from. I spoke with him for few minutes and immediately realized that he did not believe in the program he was supposed to be implementing! His problem was at the belief level and all the other things, like procrastination, were just symptoms of that. Previously I would have done what his counselor was doing and kept focusing on managing the symptoms instead of getting to the root of it all. I realized that this model needs to continually be in my mind as I work with people. I am using the ecology check personally and professionally and find it very helpful. I have often struggled in balancing my career goals with my family responsibilities and been resentful at times towards my children feeling like they are a hindrance to some of my work ambitions. The ecology check naturally brings everything together for me and I can see how both family and career can co-exist and strengthen each other. It also takes away the emotional charge from making decision as I can see how one thing affects another and then decide my course of action based on my values. I am listening to my own thoughts and using the meta model, the language patterns and chunking up and down to challenge my habitual thinking patterns. This is so refreshing! As I am becoming more adept at utilizing this knowledge I am also starting to use it in my work. I do some of my coaching through skype so it is very easy to have all my cheat sheets in front of me, but the goal is to internalize the information so that it is a natural part of what I do. I have struggled to find a good model for therapy work in the context of coaching and am excited and relieved to see that the NLP therapy tools are absolutely perfect for that purpose. I have used both already in my coaching and seen great results. I also did some of this with my son and am enjoying the results of that in our daily life. Also these two tools have had the biggest impact on me personally. I have been looking for ways to release negative emotions from my past and to integrate fragmented pieces of myself into the whole. I have worked with many models in my counseling studies, but found the NLP approach really connect with me. This has opened up a whole new future for me personally and also professionally as I am looking for ways to implement this into my coaching. I am especially curious to see how I can put this together for couples’ coaching. My original objectives from this course were to learn new skills and techniques that would help me enhance my therapeutic effectiveness with my clients. I initially aimed to learn all about NLP, when and how to use different techniques in a way that would enable my clients to achieve their own goals and improve on their emotional well-being and happiness for the future. I have achieved above and beyond what I thought I might do. This course has not only given me the skills and techniques to work more effectively with other people, but it has also been an emotional journey for myself at times. Throughout the course, the exercises that we completed e.g perceptual positions, actually enabled me to see a difficult situation at that time, from the other person’s perspective which changed my outlook on the situation, gave a better understanding as to how the other person was feeling and helped resolve the ongoing difficulties that was occurring in our relationship. This course has also given me the motivation to have belief that we can change our state at any time, we can achieve anything we want and that we are in control of our own destiny. This is turn has allowed me to pass my motivation and belief on to other people in a way to make them realise that they have the power to change their lives for the better. The most valuable tools I have gained from this course is the importance of building rapport with others that occurs out of awareness and at the unconscious level, as this is the key for building trust and positive change within other people. I also feel anchoring is an invaluable tool when external stimulus often trigger powerful and overwhelming negative emotions which are affecting people’s lives. I feel anchoring is one of the most effective ways for creating a more positive frame of mind and changing behaviour either within ourselves or in other people. The Meta Model has also enabled me to be a bit more challenging within my practice and has enabled me to get clients to be more specific with their responses about their difficulties, to focus more on their outcomes and well-formedness conditions required and has also given me more insight as to how I can best help move them forward and make changes within their lives. I also feel timeline is an excellent technique for eliciting negative emotions such as sadness or anger and also states i.e anxiety or even for use with limiting beliefs. I think it is fascinating that through timelines the content of the memory can be altered, the trigger can be removed by shifting the submodality structure of the memory and altering the emotional part of the memory in order for clients to move towards a happier and more fulfilling life. I am also looking forward to integrating hypnosis with any new client work as I feel this is a very effective tool for relaxing clients and helping with stress management, but also continuing using self hypnosis for my own self care. The thing that has had the biggest impact on me is how powerful the unconscious mind actually is. I am amazed at how the unconscious mind is much wiser than the conscious mind and how all our learnings, past experiences, thought processes and motivations come from the unconscious. I am intrigued at how effective some of NLP techniques are at influencing the unconscious mind i.e hypnosis or trance as it bypasses the conscious mind to initiate change at an unconscious level to enable the client to discover their internal resources in order to make positive changes within their lives. I feel that the course content was very informative and covered more topics in NLP than I had anticipated. I felt the video demo’s were an invaluable resource as they enabled me to observe exactly how some of the techniques were carried out. I also feel that the additional self reflections at the end of each module were a fantastic way to integrate my learning to my client work. The self reflections enabled me to take in the information more adequately and experiment with the skills which has helped me grow in confidence within the therapeutic setting. It has also helped me reflect on my life and make the appropriate changes necessary. I have applied the presupposition that the Map is not the Territory and believe that we can never really know our reality but only our perceptions of it and that it is not our reality that limits us but rather our own map of reality and that we have the power to think better and to feel better and to change our outcome or map in life to get better results…to get what we focus on. I have explained these elements to clients of mine in order to help them and to motivate them to make positive changes within their lives and have also kept this information in my own mind when I need to alter my own way of thinking. I have applied many techniques and information to my own personal life, especially the perceptual positions exercise which highlighted for me that I needed to look at someone else’s perspective at a certain stage in my life rather than dismissing their opinions and emotions. At this time, this exercise highlighted the need for me to listen to others and to communicate more effectively in order to achieve a better outcome that benefited both myself and the other person. With this in mind, I have also brought this into the therapy room and enabled my clients, who were having difficulty with family/friends, to see things from the other persons perspective, which proved great results and better relationships with my client’s outside the therapy room. I have also integrated the submodality, belief change with clients who were holding limiting beliefs about themselves which was having a detrimental impact on their emotional well-being. Through encouraging clients to compare and change the submodalities of their belief through this technique, it has been a life changing experience for them and has given me the confidence to continue using it knowing how effective and empowering it really is. I have also applied the swish pattern to one particular client who’s cognition was very negative over a period of time and she wished to be able to think and feel more positive about herself and her life. After implementing the swish technique ( and after a few attempts) she finally succeeded in changing her own state of mind to a more positive frame and has continued to do so. I have used metaphors with clients to enable them to grasp and associate themselves with the character within my story and allow them to access their own resources in order to make the changes required for a better outcome. The self induction of hypnosis has enabled me to relax and unwind at times when I have been feeling a little stressed. It has a powerful impact on the body and mind and has made me feel in a completely relaxed state thereafter. I have also used hypnosis on a few clients who were feeling anxious and stressed within the counselling room. This technique has enabled them to relax and let go of their worries and anxieties and also aided them at home as they now use the self hypnosis in times of heightened anxiety within their own home. I will refer to the manual on a daily basis to make certain that I have the vast amount of important information and knowledge the course has provided. I will continue to implement and integrate all the techniques and information I have gained through this course with my clients but also within myself and my family. I have learned the importance of how we all have the ability to change our own state and hold the key to our own destiny and happiness for our future and I will bring this into the counselling room to make all my clients aware of this important information. My objectives will be to implement the appropriate techniques with my clients on a regular basis as required. My aim is to build confidence within myself and using the skills I have learned by building rapport with my clients and motivating them to take charge of their own lives and move towards a more positive and better future. 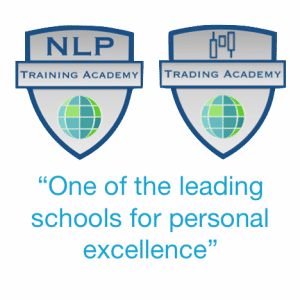 Once I have gained experience at Practitioner Level with the NLP techniques, I aim to proceed to Master Practitioner Level in order to gain more information and skills to help not only myself within my profession but to pass on my learnings to other people and to have a positive impact on their lives. This course has provided me with an immense amount of knowledge on the conscious and unconscious mind, our representational system, the importance of building rapport, language and sensory acuity when working with others and a vast amount of techniques that can be used with clients who present with a variety of issues including self limiting beliefs, anxiety, phobia’s and lacking motivation which will be invaluable to myself but more importantly in helping my clients move towards a better future. I have found whilst undertaking the course I have become more confident in terms of making decisions and also in putting my points forward. The latter has come from thinking more before I say something so that it is clear that I respect their point of view however I feel……. Also in the written word I am very conscious on how I structure sentences and now use ‘would it be possible for’ rather than I need. Improve my communication skills by first understand the person I am communicating with and hence be able communicate with them effectively by getting the response that I want/need from them. What I have found to be the key to this is actively listening to a person and picking up things which can be used to get rapport with them. This can be from sports to cars to family. Life a good way I have found is if possible glance at the screen saver either on their computer or phone and pick up information this way. Become far more aware of my internal representations and how this effects my state and ultimately my behaviour. There are definitely situations when you are feeling stressed or tired especially when running (a hobby of mine) when you have to take a step back and look around. Live in the moment and focus on the positive. Become aware of what is around you rather than focusing inward. For example I have used this a number of time when on long runs. When you start feeling tired or the weather is rubbish. I now try to look around at the scenery and say how lucky I am to be able to do this. To empower not only myself but also others by assisting them to have a better focus on what they want and being more positive. I have had a number of discussions with my sister in law who lacks self-confidence and belief. I have found that just listening to her doubts about herself and asking her why she has these doubts has made a big difference. For instance she recently applied for a new job and was successful in getting an interview, however on the night before the interview she almost pulled out because of her doubt about her abilities. I spent 30 minutes on the phone just talking to her and asking why she had the doubts and asking her to think of times when those doubts weren’t there. It seemed to give her the confidence and she got the interview. I will become mentally stronger to allow me to complete the Lakeland 100. Massive tick for this one, completed in just under 31hrs. The first 50-60miles was all about physical conditioning although running through the first night had its ups and downs. The second half of the race was about ignoring the muscle pain and thinking that the pain was only temporary however to fail would be stay with me for ever. At no point in the race did I say to anyone that I wouldn’t finish. I just said that I would get there in the end. Another good aid was to visualise running down to the finish line. I used this a lot prior to even starting the race ‘ You achieve what you focus on’.. The most valuable tools that I have gained from the training are; reading body language to gain rapport, matching language not only verbally but also in the written word, matching/mirroring body language and internal representations. The single biggest impact has been internal representations and being able to try to step back and realise how I am representing something is affecting my emotional state. This has also lead me to stop worrying about those things which I cannot effect as they are out my control. In terms of my life outside work I now ‘actively’ listen to my wife more than I did and by doing this I am far more aware of her feelings even though she may not be expressing them. Also it has had massive effect on my own self belief in relation to what I know I can achieve in relation to my ultra-running. In relation to my work I now understand that if someone does something that maybe hazardous they are doing it for a reason or belief. I now have the skills to talk to them without them feeling that they are getting a dressing down. I this way I can find out why they have done something and also to get their commitment to work in safe manner in the future. Moving forward I know that I can use my training in assisting people to more positive about the situations they are in whether these are work relationships or family relationships. I have learnt quite often it not what you say but how you listen to someone that makes the biggest difference. I look forward to developing my skills on the Master Practitioner course. “I have every intention of going further (in NLP ) and that is because I want to inform and enrich my own life and be in a position to teach NLP techniques to others so that they may benefit”. Yes, I have informed and enriched my own life through working with this NLP course material and I am embarking on the Master Practitioner course to deepen my knowledge, understanding and experience of NLP. Ultimately I can teach NLP techniques to others for their benefit. I have definitely met my objectives. I have learned how to take responsibility for my life experiences, past, present and future. I now know that I can fashion and design my life just exactly as I want it through NLP techniques, including timeline work, self-hypnosis, re-framing and goal setting. I can eliminate negative emotion and free my energy to focus only on what I want to achieve. I have learned that others have their own model of the world. I have learned how and why that is. I now know that I am not responsible for the thoughts, states and behaviours of others but through language and rapport building skills I can now positively affect their model of the world. I now know that I have mastery over my own life and I am not at the mercy of outside influences. I am able to be proactive in a productive, efficient and effective way through applying NLP techniques in my everyday life. I can play! Life is no longer a serious, intense business full of dread and fear! Now I can laugh, be confident and sure that my life is in my hands and they are good hands! I always thought I had to work hard with lots of effort and it was just the way it was if I didn’t get anywhere. I now know that goal setting means that my efforts and work are productive. I reach my goals and I now know when I have achieved them. I also know now that life isn’t hard work, it’s fun! Nothing has to involve the word ‘hard’ or ‘effort’ if NLP techniques are applied. This allows time and energy to enjoy the process. There are many valuable tools in this training and picking just one is a challenge. On reflection it is that I have learned that I can calibrate, listen to, interpret and communicate effectively with others from a confident, compassionate place in myself. I have learned how to listen to, observe and build rapport with others. That skill is priceless! I realise that NLP is an ongoing process of learning, understanding and applying the principles so to that end I am reading and re-reading my manual and completing my own notebooks on the material for on-going reference. I continue to listen to and watch the audio/ visual material so that I can keep learning. Repetition and practice make perfect. I feel that I have a working understanding of all components of the course and am developing from there. I am starting my Master Practitioner course to extend my NLP knowledge and practice. What changes have I made in my life? One of the first changes I made was to cut down the working hours I had in a job that was draining me and giving little reward. I now know that because I haven’t set goals in the past I have drifted in and out of employment and self-employment without any plan. This has resulted in spending time doing things I don’t value or believe in just for the pay packet. This caused me conflict and unhappiness. I quickly learned that I could face the fears and limiting beliefs that were holding me back and I have been able to change my work life to give me more time and space to fulfill my potential and employ myself according to my values and beliefs. I now follow a work/ life balance that I enjoy. The internal shift and the resulting changes in my reality have been an eye-opener. I have proved to myself that I can change my internal representations and change my reality. There is more work to do in this area and I am motivated to do it now. My close, family relationships have changed. The metaphor work has removed anxiety and stress around my thinking about my children, grandchildren, parents, brother and husband! I now see that everyone is fine and if they aren’t they will let me know! I feel free to take responsibility for my own life and not everybody else’s now. This has improved the quality of these relationships by giving freedom to us all to live our lives as we choose. I practice building rapport with others by matching, mirroring, pacing and leading them to create effective, enjoyable communication. I am confident that I can handle communication with all types of people because I understand that each has their own model of the world, their preferred representational systems and internal representations. I now know that by building rapport, by using specific language and by talking directly to their unconscious mind I can elicit the response that I am looking for when I communicate effectively. I apply these techniques at work and with my yoga students and at home. I have changed my gestalts by releasing negative emotions through timeline intervention. This allows me to live a life free from anger,sadness, hurt, fear, guilt and conflict. Truly, what could be better than that! This has changed my inner life completely. My internal representations have changed so my state of mind and physiology have changed and that gives me excellent behaviours and outstanding results. Setting goals in my future allows me to get excited and motivated about my day. I now know where I am going and why! In the past my goals were hazy, unclear, unplanned, random, haphazard and ill-defined. The consequence of that was that even though I had achieved them I didn’t know it. I was unaware of achieving these goals therefore the satisfaction and sense of achievement was missing! Bizarre! It would mean that I would still be striving to achieve even though I had already achieved! I think this is an example of my unconscious and conscious minds not being in rapport! I have self-hypnotised to embed resourceful suggestions in my unconscious mind. My conscious and unconscious mind are in rapport here so the results will be congruent with my desired outcomes, values and beliefs. Applying NLP allows me to relax and live in the moment. I am now in control of my life and can institute changes whenever and wherever I need. This gives me freedom of choice, flexibility and motivation to make effective changes as needed without feeling I am stuck or in a rut. If something isn’t working I have the ability to change it. There is more to do to perfect the life that I lead and now I’m confident that all I need is time. I now know that I can make it happen. I am using this training going forward to craft the perfect life that I want to lead. I am also setting up a business as an NLP Practitioner to offer NLP services to those who seek help through NLP techniques. I am starting to advertise these services as soon as possible. Why wait? There are people out there who are looking for this help. I am starting the Master Practitioner course as soon as possible. I am keen to learn, develop and build on my Practitioner training. I want to take this work forward and develop excellence at applying it for myself and others. I look ahead to training Trainers and making a career out of a subject that I believe works, is ecological and fundamentally straightforward that gives every chance of success. Live the perfect life that I choose! 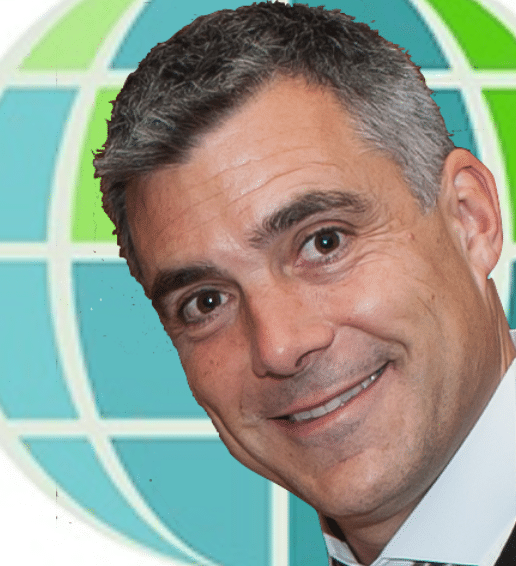 I have really enjoyed and felt the benefit of your NLP training course. Looking back into my Self Reflection Exercise at the beginning of the course I said that I would like to achieve a First class degree, which I believe that I have now achieved. I believe NLP concepts, especially values and Cause & Effect, provide a clear sense of direction and allow me to discover what I truly want (In this case, getting a First is what I truly want, not just need). Other techniques, such as Ring of Confidence and some Advanced Submodalities techniques, could increase my motivation in a short amount of time and could effectively assist me to achieve my goals. I also mentioned that I want to extend my social network during my university life, and techniques including Matching and Mirroring always play a significant role. In addition, concepts such as Meta-Programmes and Strategies allow me to know myself better, and I now see this course as a journey of discovery. My goals are at the end of the road and the techniques I have learnt build the vehicle, somehow I think the journey is more important, isn’t it? I really enjoy all techniques related to phobia and trauma, while I appreciate the concept that in order to effectively cure a phobia, one must master a combination of different techniques. Among these techniques, Timeline and Advanced Submodalities are my favourite, as they are both fun and useful. Curing phobias of my friend (goldfish and butterflies) was definitely the most remarkable memory in the past year. Speaking of impact on myself, I thought the concept of Meta-Programmes was most useful, as not only it explained my personality in detail, but also it allowed me to choose the most suitable jobs and set clear goals for the future. As the President of Project Management Society, I have applied concepts such as Meta-Programmes and Values in human resource management, especially during new recruitment. As I will work as a Part-Time Headhunter for a graduate recruitment firm in the coming year, I believe those techniques would also be extremely useful. Negotiation and Modelling are also very useful in daily basic. I can imagine that NLP techniques would be useful in both Advertising and Consulting (which are my fields of interest). How to combine those techniques with academic knowledge I have learnt at university, and apply both in real business environment are something definitely worth working on. Future objectives I set for myself include that I shall revise NLP materials at least once a week and practice whenever possible, starting from using Ring of Confidence and Swish Patterns on myself more often.